The land of Egypt is known for its unique history. A land of pharaohs, mummies, tombs, pyramids and endless riches, this country still is studied by scholars and historians to date. Many even believe that the ancient Egyptians were way ahead of other humans at the time being. The unravelling of mysteries like the tomb of Tutankhamen and mathematical encoding in the building of Pyramids only adds more question to the way this culture thrived for hundreds of years. As such, anything related to Egypt immediately is permanently etched in the public’s mind. There are many Egyptian themed slots in the slot universe, each with its own rendition of the land. However, Crown of Egypt game by IGT manages to shine out from others due to its sheer graphics, gameplay and of course 1024 ways to win. The background of the game seems to be set amongst old hieroglyphs. The background score seems to be lively and fun considering the actual theme of the title. There are different symbols within the reels including the Egyptian gods of Ra and Anubis alongside a male and female pharaoh. There are also different card symbols in Crowd of Egypt including A, K, Q, J and 10. Scatters: The pyramid symbol is the scatter symbol in the title. Wilds: The “Crown of Egypt” icon is the wild symbol in Crown of Egypt and can substitute for all the other symbols except for bonus and scatters. 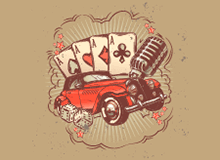 Free spins: Getting two or more of the pyramid symbol anywhere on the reels will trigger the free spins round. Players are entitled to get 10, 15 and 20 free spins respectively depending on the number of times they get the pyramid symbol. This feature can be reactivated again. Multiway Xtra: The slot makes use of Multiway Xtra wagering which basically implies that there are 1024 ways to win with every spin of yours. The Multiway Xtra feature is activated when you play 40 lines which can be regulated at the bottom corner of the screen. All your stakes get doubled with this and players can land wins not only on standard paylines but also on adjacent lines if there are any matching symbols around on the reels. 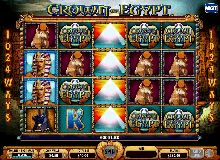 Gamblers can play Crown of Egypt slot machine online on a number of different devices. This includes your PC, smartphone, tablet or even Blackberry. Most of the casinos today are equipped with HTML5 technology that allows players to play from any device of their choice. One can now play from iOS, Android, Windows as well as Blackberry phones as per their convenience. A good strategy to apply within the title is to make use of the Multiway Xtra feature. This can easily double your stakes and give your big earnings. There are no rules, cheats or winning combination available to win here. 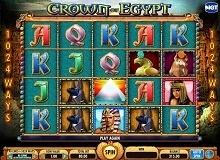 One can play Crown of Egypt for real money as well as for free on a number of different casinos online. Many casinos provide different kinds of welcome money bonus and credit to new players looking to sign up on their website. 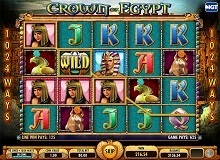 For those of you who love Egyptian themed slots, IGT has managed to hit the right note with Crown of Egypt slot.